Traditionally, investing in gold meant buying actual physical gold and taking delivery of it. 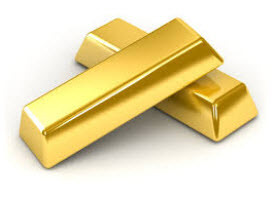 To make the gold marker more efficient, gold bars, gold coins and gold rounds were created. Standardized bullion gold coins are available from one-tenth of an once to two ounces. The most popular size for investors are the one-ounce bullion gold coin. Bullion gold coins can be purchased from a variety of vendors, and some will sell non-standardized bullion gold coins. Bullion gold coins are normally not pure gold; they have other metals added to the coin to make it more durable. The famous Krugerrand does for instance contain 91.67% gold and 8.33% copper, which makes it very resilient towards scratches and dents and gives it a more orange appearance than silver-alloyed gold coins. Bullion gold coins are typically priced according to the market price for gold + a small premium based on supply and demand for bullion gold coins. This sets them apart from numismatic gold coins, which sometimes attain a market price that is considerably higher than what would be warranted by their gold content and the current market price for gold. With numismatic gold, factors such as the rarity of the coin type and how well preserved the coin is can play a major role for collectors. When it comes to bullion gold coins, the Krugerrand is the most widely held one. There is approximately 1,4 tonnes (46 million troy ounces) of gold in circulation in the form of Krugerrand coins. The Krugerrand is a South African coin introduced in 1967 and it is still in production. By 1980, the Krugerrand account for approximately 90% of the global gold coin market. The success of the Krugerrand encouraged other countries to mint and issue bullion coins. The Canadian Gold Maple Leaf was introduced in 1979, the Australian Nugget in 1981, the Chinese Gold Panda in 1982, the American Gold Eagle in 1986 and the British Britannia in 1987. Other examples of bullion coins purchased for investment purposes are the Austrian Philharmoniker, Austrian 100 Corona, French Napoleon or Louis d’Or, Mexican Gold 50 Peso, Malaysian Kijang Emas, and American Buffalo. Gold rounds look like gold coins, but are not legal tender and are not made by government mints. Most gold rounds available for purchase are within the 0.5 troy ounce to 1 troy ounce span. Gold rounds are often 100% gold, but this can of course vary. It is very important to do your own research before buying, especially considering there is no government mint guaranteeing the gold content. Gold rounds are usually somewhat cheaper than gold coins with the same gold content. Bullion gold bars is typically less expensive than bullion gold coins with the same gold content. 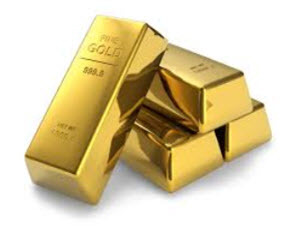 In some countries, such as Switzerland, Austria, Liechtenstein and Canada, bullion gold bars are bought and sold at major banks and investing in gold bars is thus very easy even for the hobby investor. 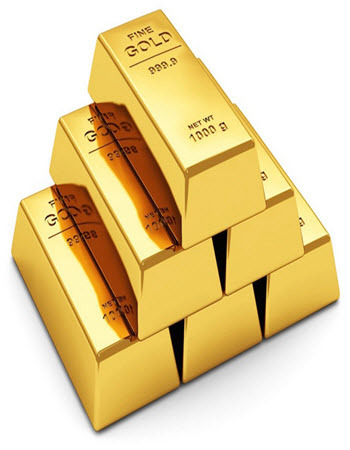 Bullion gold bars come in several sizes, including 12 kg, 1 kg, 100 g, 10 g, 1 Tael and 1 Tola. 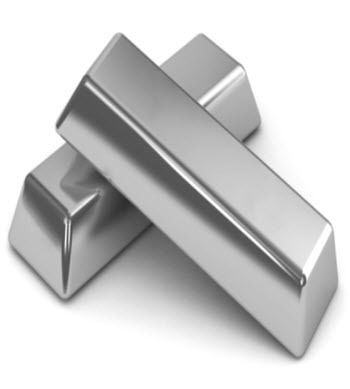 To avoid forgery, many investors opt for Good Delivery bars held within the London Bullion Market (LBMA) system. Each of these bars have a verifiable chain of custody, from the refiner and assayer and onwards. They are stored in LBMA approved vaults. As long as they remain within the LBMA system, the bars can be easily sold since there is a high trust of the system among investors. Many investors opt to never remove their gold from the LBMA system, since doing so would remove the LBMA verification from the bars. For more information, take a look at LBMA’s Good Delivery Rules. 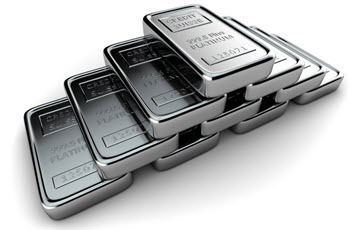 With the LBMA system, bars are traded at face value by LBMA members without doing any additional assay testing.